Porto Rosso, a nautical centre resembling a marina, lies in the bay of Skrivena Luka, which means “hidden bay”, on the island of Lastovo. And in fact, the entry to the natural harbour is barely visible from the sea if it weren’t for the lighthouse, which also shows the way in the dark. The bay provides good protection from all winds and the swell, but when there are south-westerly winds there is some swell in the bay and the Bora causes down gusts from the surrounding hills. However, the bay is the safest anchorage in all of Lastovo. The large floating pontoon is located on the western shores of the bay and provides berths for about 30 yachts up to 40 m long. All of the berths have water and electricity and are included in the inexpensive prices. The depth of the sea towards the shore is about 2 metres, outside even 10 metres. All of the pontoon guests can use the sanitary facilities behind the house with clean toilets and showers. Laundry services are also available. Small repairs can be carried out here. Boats can also be held here in the winter. The Porto Rosso restaurant owns the pontoon that shares its name. Marčelino Simić and his team have transformed the former fisherman’s house into a modern and well-kept restaurant. The building made of natural stone is nestled between the hills and the sea, surrounded by green pines, which provide a welcome shade over the terrace. There is a small garden behind the house where organic vegetables are grown. The aroma of fresh tomatoes and herbs is extremely mouthwatering. A small pebble beach with loungers and beautiful clear water is popular with children and adults alike. If anyone wants to enjoy a drink in a pleasant atmosphere before or after dinner they can do so in the cocktail bar. Porto Rosso serves a number of various delicacies, which even gourmets will appreciate: fish carpaccio of monkfish in a fine herb sauce, crayfish or lobsters, goat’s cheese with a wild asparagus salad and homemade bread and a whole lot more. The dishes are accompanied by selected wines, most of which are also organically cultivated and pressed. Most ingredients come from Lastovo and are farmed organically. The surrounding sea is clean and rich in fish and underwater life. Our video about Porto Rosso gives you a good overview about the bay, jetty and restaurant. Lastovo is off the beaten tracks of charter and generally tourism is less developed here compared to many other islands. Because of its strategic location, Lastovo was a military island until 1989 and tourists were barred. In 2005 the green island was declared a nature park. The 800 odd inhabitants live mainly from agriculture and fishing. In the last few years, tourism (water sports) has been playing an increasingly greater role. Anyone willing to make the long journey to Lastovo should reserve a berth in advance. It’s easy with mySea and you won’t pay a single kuna more than at the location itself. The exact prices for the berths in Porto Rosso can be found here. There is a number of new and interesting berths you can book via mySea. If you book a berth online in advance then that berth is also secured, ”no ifs, no buts”. 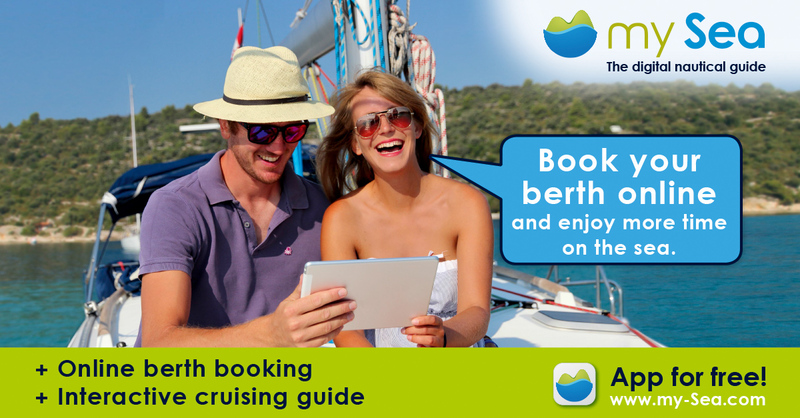 As berth owners receive all the necessary information regarding the booking they can plan better and welcome guests in person. And all this doesn’t cost a single cent more! 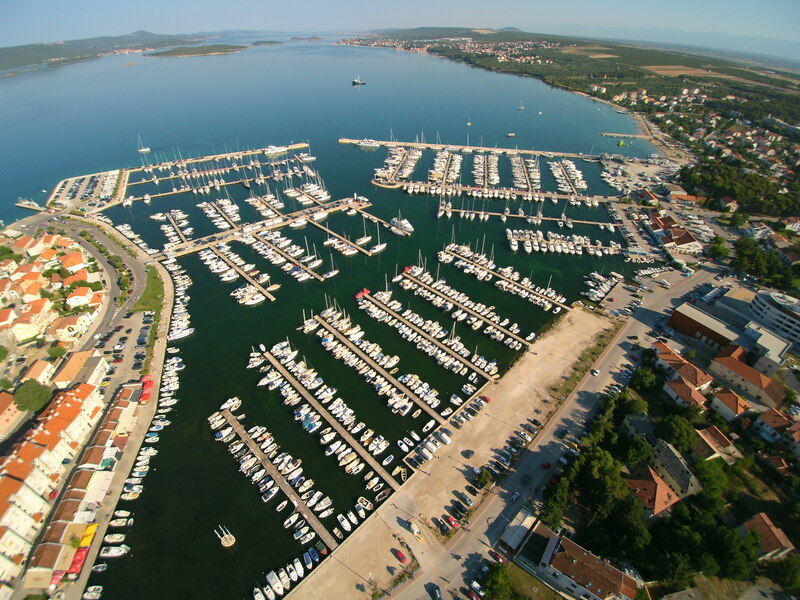 Marina Kornati, Biograd: Marina Kornati in Biograd is not only a starting point for yacht charters and many high-class regattas, it also has plenty to offer guests. There are several well-assorted supermarkets and discount shops in Biograd, ideal for stockpiling. Moreover, there are a number of good restaurants and konobas. If you are still full of drive after dinner, then you can spend the rest of the evening in one of the many bars until late in the night. More information on Marina Kornati and berth prices on mySea. Konoba Robinson in Vrulje in Kornat: Konoba Robinson in the village of Vrulje on the island of Kornat is not only a favourite with Kornat experts. This popular konoba is one of the oldest in the Kornati National Park and serves fresh fish, meat and naturally also peka, which has to be pre-ordered. About 6 yachts with a maximum draught of up to 3 metres can moor at the jetty. As the konoba is very popular and the berths are taken quickly, it is most certainly advisable to make a reservation. Augusta Insula, Zaklopatica Bay in Lastovo: many crews have the Augusta Insula restaurant on their itinerary. Not only because Lastovo is a beautiful island off the beaten tourist track, but also because Luco and his team can conjure up first-class dishes using local ingredients – vegetables from their own garden or fresh fish from the rich fishing grounds around Lastovo. About 10 yachts can moor with mooring lines at the jetty belonging to Augusta Insula. Water and electricity are available for a fee, WiFi is free of charge. Konoba Barba in Prožura Bay in Mljet: Prozura Bay on the island of Mljet is very picturesque. Surrounded by green pine forests, islets and a promontory, the water shimmers in the most beautiful colours. There are a few fisherman’s houses and holiday homes all around the bay. 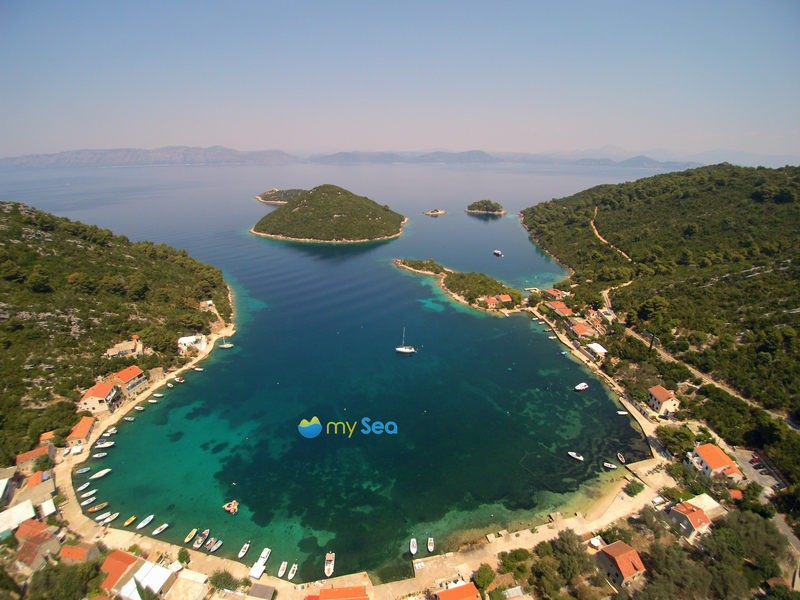 The settlement of Prozura is one of the oldest in Mljet. Konoba Barba provides a few berths at its jetty and buoys in the heart of these beautiful natural surroundings. Water is available, electricity can be used, if required, with a long cable from the restaurant. Konoba Barba mainly serves fresh fish and seafood, but there are also meat dishes. There are a limited number of berths here, which are, therefore, rarely free. It is advisable to book a berth in advance. 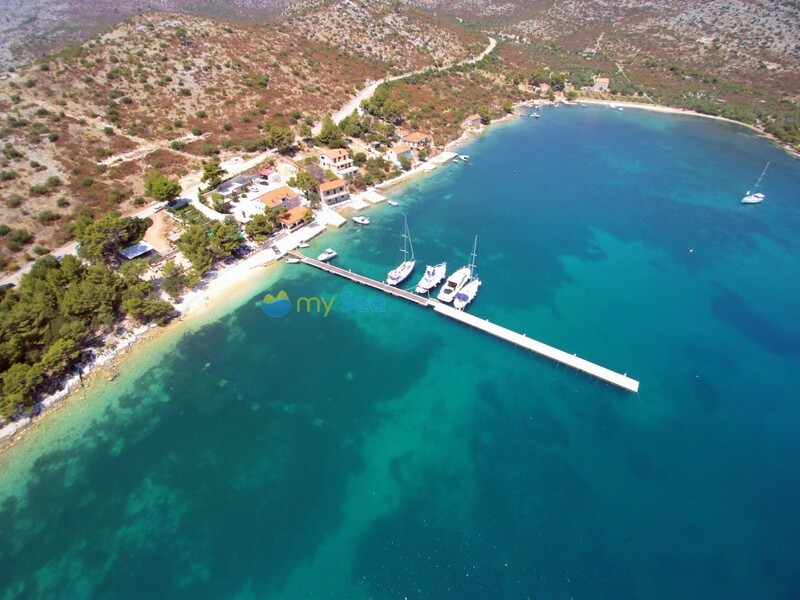 When you step off your yacht at Marina Hramina in Murter you will feel the vibrancy of this former sleepy fishing village as well as the ties the locals have to the sea and boat-building. The residents have been maintaining the traditions of fishing and boat-building for centuries although nowadays (yacht) tourism is one of the village’s most important source of revenue. The 2,500 inhabitants own a large part of the Kornati islands. Many konoba owners in the Kornati National Park come from Murter and return here in winter. Marina Hramina lies to the north-east of the village centre. An up-to-date nautical chart is essential for the approach as only pleasure boats with a low draught (up to 1 metre) can actually pass between the islands just off the coast. Yachts have to pass to the east of the island of Tegina to enter Hramina Bay. The marina has 370 berths and 120 dry berths. Many of the berths are taken by charter yachts but they are usually on sailing trips during the week. The other berths are owned privately. The secluded marina has all of the amenities you would expect of a modern yacht harbour: well-kept and clean sanitary facilities, water, electricity, TV and Internet access. The service yard can carry out any maintenance work yachts may need and has a 70-tonne crane. Several service providers, restaurant Butina, a hotel with 10 rooms, a small supermarket, a chandlery as well as a marine clothing store can be found at Marina Hramina. Scooters can be hired directly at reception. The marina is renowned for its good service and friendly staff. This also explains the extremely positive customer reviews on mySea. Owners and guests feel at ease here. So it is hardly surprising that all of the annual berths have been taken. Even visiting yachts might have problems finding a berth for a day, especially at the weekends. It is, therefore, recommended to reserve in advance. 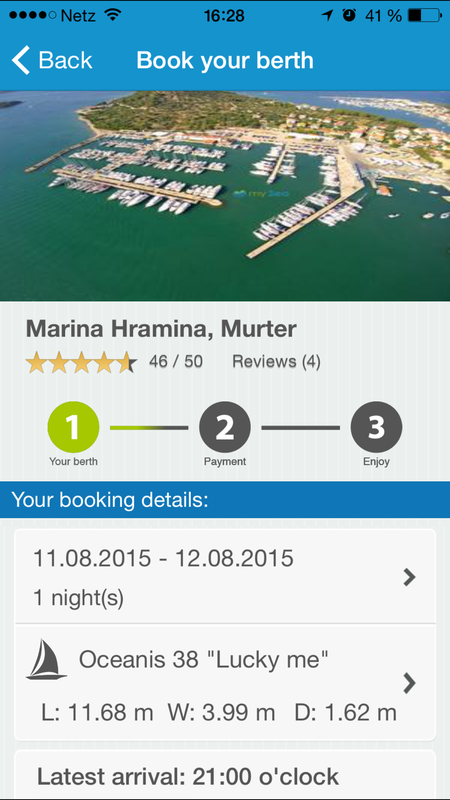 It is easy to book a berth via mySea and it doesn’t cost a cent more than booking later at the marina. 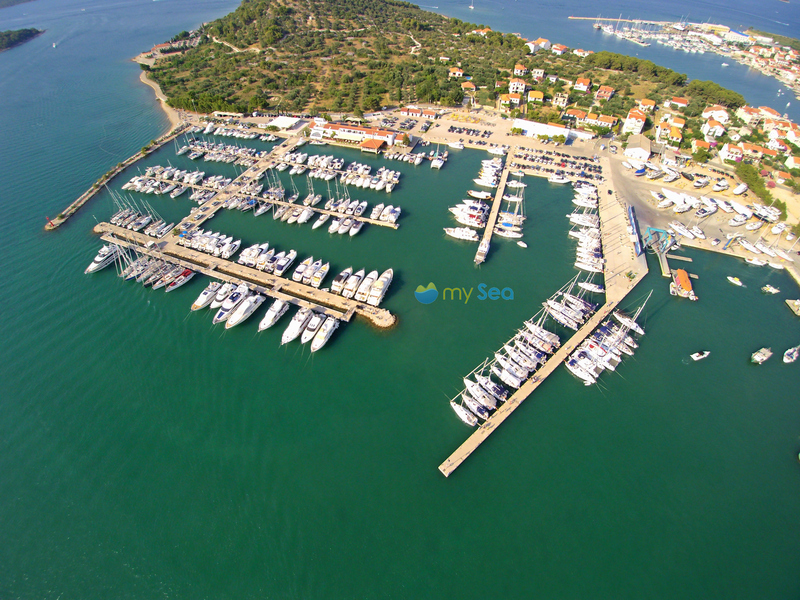 Check availability and prices at Marina Hramina. You can eat well at the marina’s restaurant but it is still worth taking a short walk to Murter. Around Trg Rudina, the main square, you will find various cafés, bars and restaurants. You will also come across small groups of older men gesticulating a lot while talking and enjoying their espressos. The narrow lanes provide some shade in summer, occasionally tourists will bustle through them. Some top restaurants such as the Fabro or Tic Tac enjoy a very good reputation beyond the shores of the island and serve first-class cuisine. Finally here we are: From now on you can book berths in marinas, buoys fields and (restaurant-) jetties online on the website of my-sea.com. Initially only in Croatia but very soon also in Greece and Turkey. 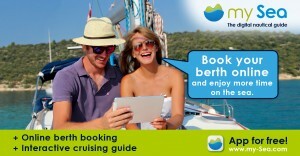 The aim is to make berth booking as easy as hotel booking. Water sports enthusiasts know what it’s like: it’s summer and the sailing conditions are perfect. Yachts are sailing between the islands or are at anchor in a bay, to relax or swim in the clear blue water. But then in the evening many will need a safe berth in a harbour, marina, at a jetty or a buoy. But the popular berths are so sought-after that the available capacities cannot accommodate everyone. This has led to the renowned harbour rush. Early in the afternoon yachties start heading towards a harbour. And the closer the yachts get to their destination, the higher their speed to make sure they get to the harbour before the others. “First come, first served,” is the name of the game. Whoever manages to get there early enough increases their chances of getting a berth but is also missing out on having a wonderful day sailing. 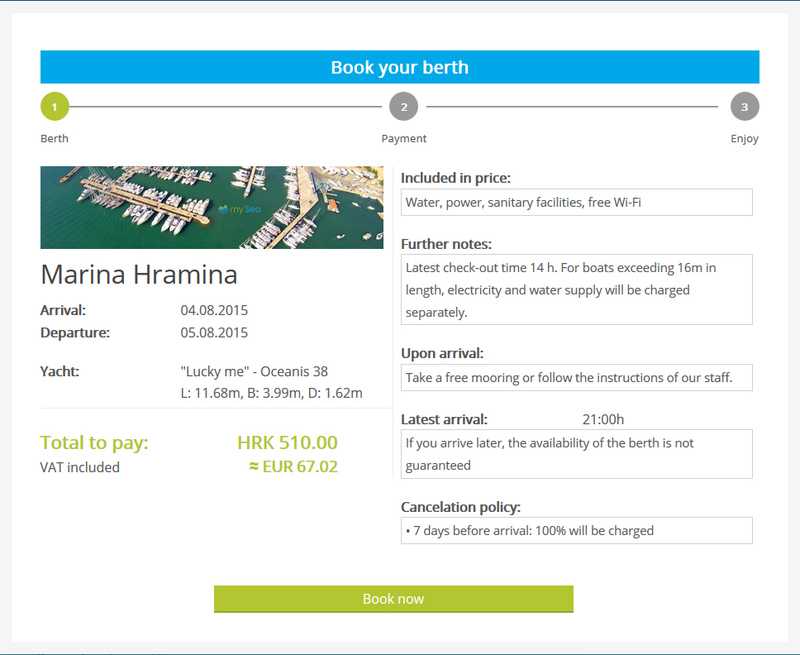 With mySea’s new online berth booking system, boaters are able to book a berth for the same day and, therefore, bypass the somewhat annoying search for a berth. Right now in high season when many berths are fully occupied by early afternoon, boaters will have simply more time to enjoy sailing, swimming & the beautiful sea with a reservation in advance. And they will not pay a penny more than they would pay in the Marina anyway! The berth booking system: how does it work? It is actually quite easy. mySea users first need to enter their boat data: type of yacht, length, width, draught, etc. Based on these parameters, mySea calculates the actual price of the berth at the participating marinas, harbours, etc. Once they have selected a suitable berth, they can book it with just one click. And pay by credit card. mySea was able to get Paymill on board, a large international partner who guarantees secure payment transactions. The credit card data is not visible to mySea and is not saved anywhere. This makes your payment even more secure. But not only berths at marinas and buoy fields can be booked online. Users can even reserve berths at restaurant jetties via mySea. Jetty owners set the amount themselves (usually between 20 and 50 euros). This amount is debited immediately from the credit card and serves as a kind of “deposit”. When the guest then dines in the restaurant in the evening the amount is taken off the restaurant bill, provided the berth is free of charge for restaurant guests. In this way mySea users have a secure berth and on balance pay nothing for it and the jetty owner knows exactly which customer is coming with which yacht. 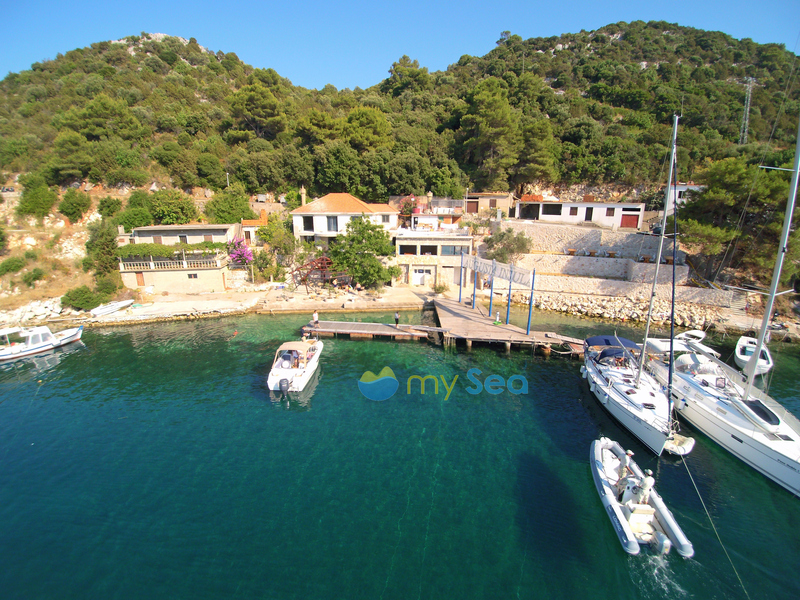 Online berth booking is among others possible in Konoba Festa, Konoba Opat, Core Lounge Bar & Restaurant in Vrulje on Kornat, Buoy field in Milna near Hvar, Porto Rosso in Skrivena Luka bay on Lastovo, Restaurant Maran in Okuklje bay, Mljet, and many others. The berth prices are the same whether you book online or pay locally. The reservation will usually cost yachties not a single cent more. Quite the opposite: when booked online the berth owners can react more flexibly to fluctuations in capacity and can even give discounts at certain times. The entire system can be accessed in English and German. Misunderstandings with berth owners, e.g. because of language difficulties, can, therefore, be avoided. All bookings and payments are completely transparent. Find more info on www.my-sea.com.